A former actress turned Public Relations expert, June had to face the public with a fresh face. She learned the Power of Lavender. The three different discolorations on June’s face makes her a perfect candidate for lavender. Lavender acts like neutralizer, blending the different areas, creating an even palette to work from. We mixed a lavender liquid foundation into her existing makeup. Start with a dab or two of the lavender then add more until you reached the balanced coverage. The skin takes on an illuminating glow, making her skin look fresh and flawless. 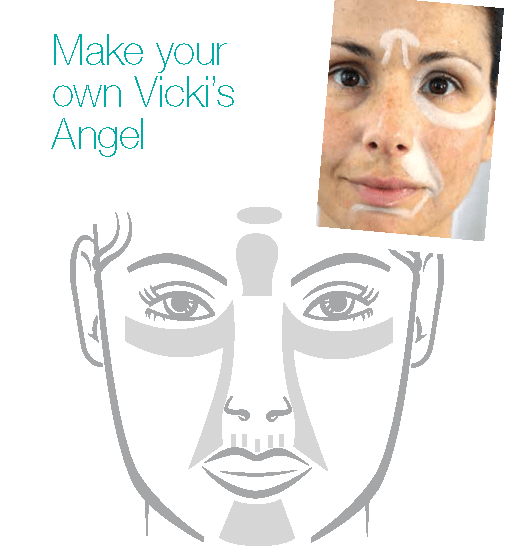 Option 1: For a light veil of lavender use a lavender primer under your foundation. Option 2: For a heavier block-out, use a lavender liquid or crème foundation before you apply makeup. Option 3: Mix liquid lavender foundation with your skin tone liquid foundation or cream to cream. Often, simple foundation or concealer alone is not enough. 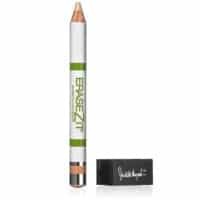 If your dark circles are so, so, dark and the discoloration starts showing through during the day, you may need “The heavy artillery”, a color neutralizer. 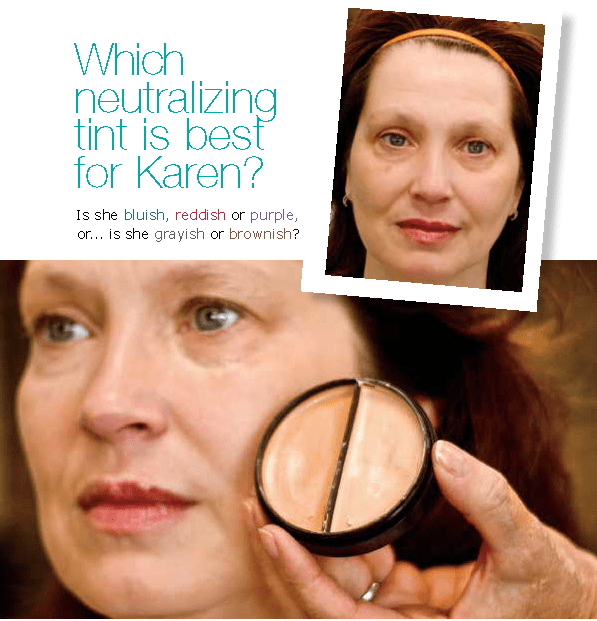 Neutralizers are pale color tints, like yellow, peach, rose, lavender or peachy orange. They are not natural skin shades, and are available in cream, liquid, or pencil forms. 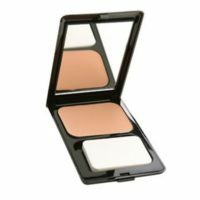 Essentially, neutralizers work along with your skin toned foundation or concealer. 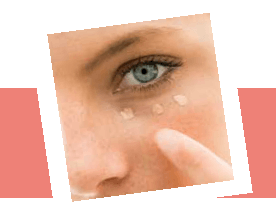 Under eye circles can show up due to lack of sleep, stress, smoking, bad circulation, hormonal changes, poor nutrition, allergies or sinus problems. Sometimes deep set eyes or skin with blood vessels very close to the surface may look shadowy. The Key to Successful Camouflage is Color. The biggest challenge is concealing those little rascals without looking racoony, or worse than when you started. Trick the eye with these optical illusions. 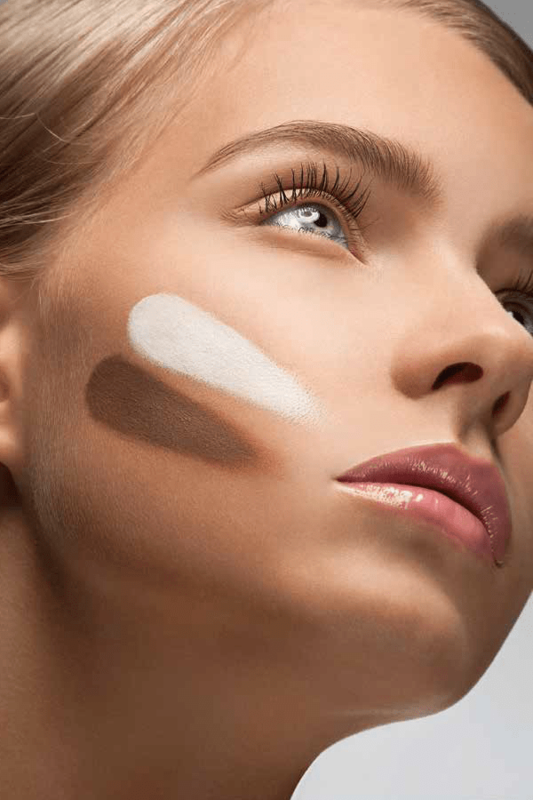 Apply a color neutralizer first, under your foundation. Or, mix a dab of neutralizer into your foundation, moisturizer or primer. 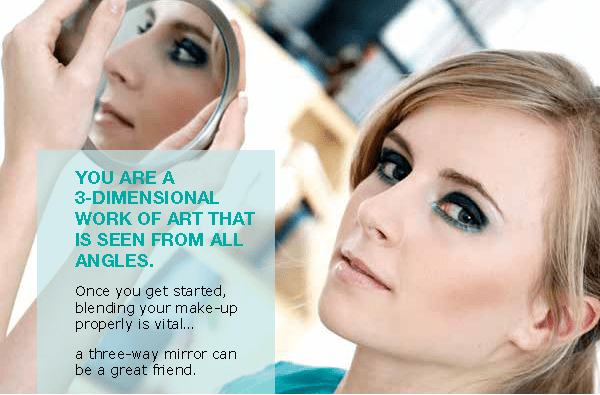 Don’t worry about perfection the first time, practice makes perfect – and after all, makeup does wash off. See the table below for neutralizer guidelines. Cancels greyish, brownish, or bluish discolorations. Best for medium to dark toned skin. Cancels red, bluish or purple discolorations. Best for lighter toned skin. 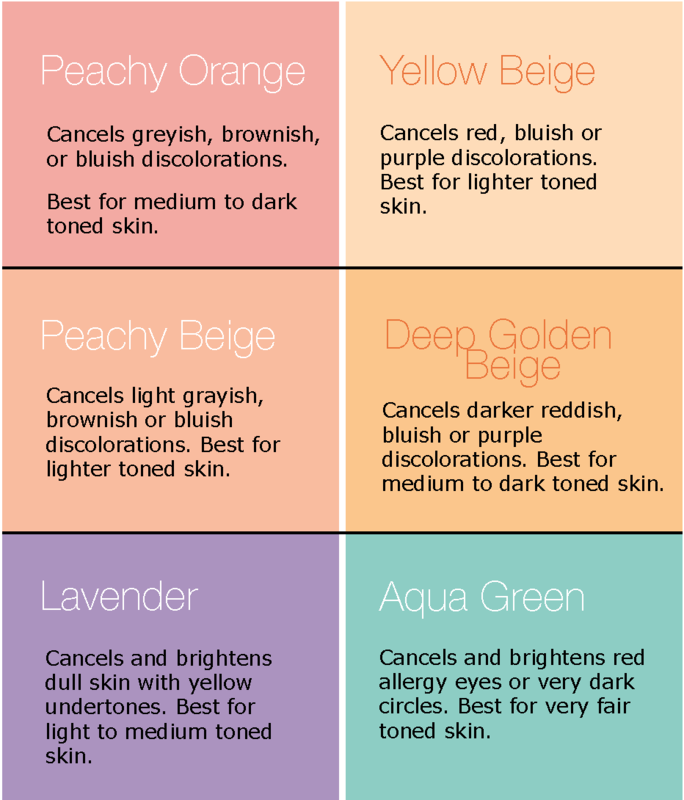 Cancels and brightens dull skin with yellow undertones. Best for light to medium toned skin. Cancels darker reddish, bluish or purple discolorations. Best for medium to dark toned skin. Cancels and brightens red allergy eyes or very dark circles. Best for very fair toned skin. Cancels light grayish, brownish or bluish discolorations. Best for lighter toned skin. A foundation primer prepares the skin for any type of makeup application and is applied after moisturizer. Silicone based primer is an ultra-lightweight sheer liquid or crème that glides over the skin, leaving a smooth, flawless look and feel. 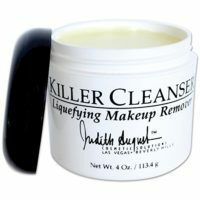 It visually helps “fill in” fine lines and large pores temporarily, and prepares the skin for foundation. 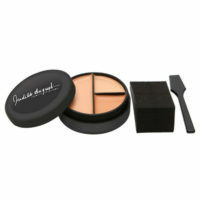 Consider it “insurance” for longer lasting, smooth, professional looking makeup. 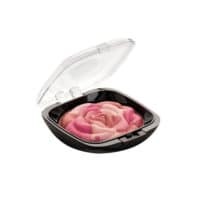 There are cosmetic companies who put “neutralizing colors” into their primer products which helps correct some color imperfections of the skin as well as goodies, such as Hyaluronic Acid, and Peptide Complexes and other state-of-the-art ingredients. 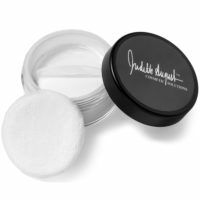 Apply on one-half of your face and wait for two minutes for evaporation to take place, and then apply your foundation. You will be amazed at the difference between the two sides of your face. Try it on your hands and decollete too! First thing I do in the morning is make coffee… my lifelong pleasure… then I blindly reach for the concealer. I can’t go anywhere without them! 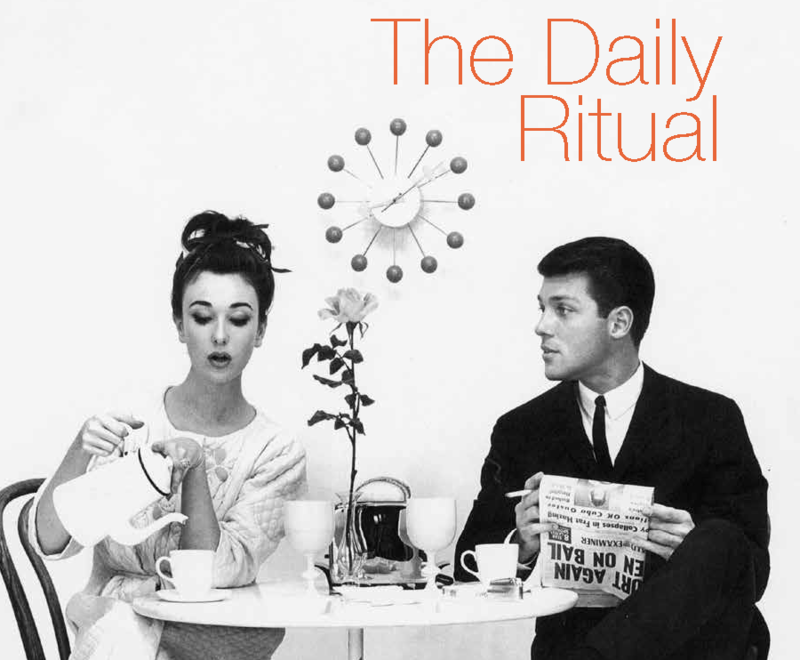 Coffee and concealer – my daily duo – is the way to start the day, it is my ritual and personal Zen time. First thing in the morning – Reality hits and the real work starts! YIKES! Cleanser, toner, sunscreen, moisturizer, eye cream, primer, foundation… whew! You need to wait a minute between each step because it is necessary for the skin to absorb the products so they can work together properly… needless to say, that’s a lot of Zen time in the morning. Make sure to remove any excess hair through depilatory, waxing, tweezing, or threading on a bi-monthly basis. 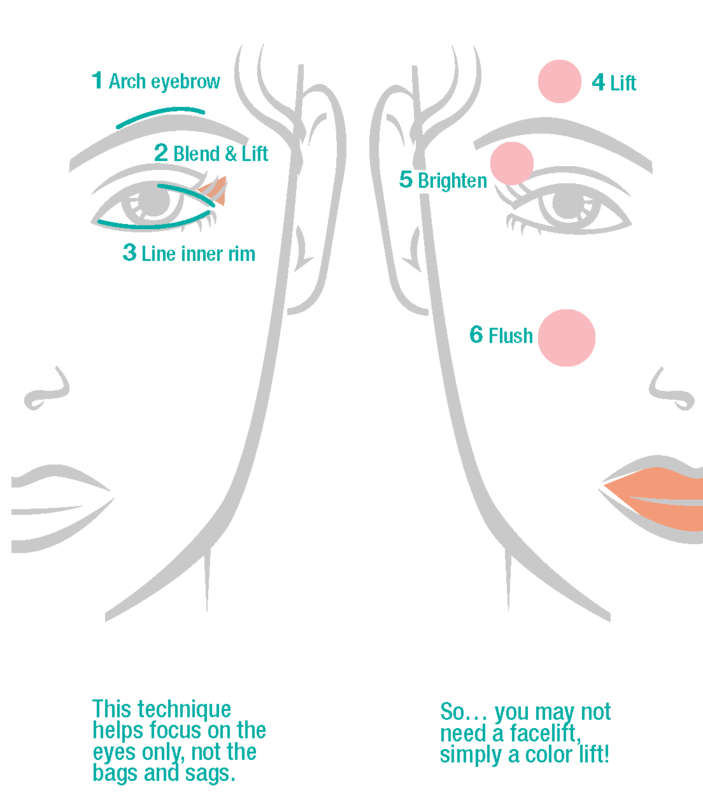 Concentrate on keeping eyebrows well groomed because they are the frames of your face. Keep a pair of tweezers in your car, while not advocating this while driving; it can be shockingly handy at a stoplight! The lighting is fabulous and it is the only way to really see all the stray hairs. Scary but true! Don’t worry about a thing. We have a makeup bag full of tricks especially for you! The indispensable: powder puff and brushes to set camouflage makeup. Using professional makeup brushes creates the difference between a simple makeup job and a polished, professional appearance. My weapons of choice to attack annoying little culprits are great makeup brushes, concealers, foundation and color…lots and lots of color. Keep everything transparent and natural looking using the best tools you can find. All camouflage techniques require brushes of specific sizes and shapes to achieve excellent coverage. These are different than the brushes you would normally use for color cosmetics. The right brush shape is designed to take the place of fingertips and the rounded and feathered edges help prevent streaking; they apply and blend evenly stroke by stroke. If you buy quality brushes and care for them, they will last many years. Bacteria lurks everywhere, so it is necessary to clean, condition and sanitize your brushes, and powder puffs every few days. I love Cinema Secrets™ professional brush cleaner or use a drop or two of Woolite™, especially for your “puffs”. After cleaning, reform, shape and dry on a towel or if you’re in a hurry, dry with a hair dryer. 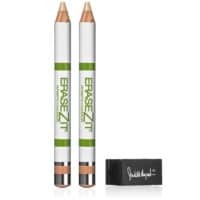 Fine tipped brush (eyeliner or lip liner brush) works well for precision spot concealing for fine lines and small scars. Small oval camouflage brush, (the size of your baby finger) is used “to place” concealer under eyes, under lashes, into the inner corner of your eye, under the brow, and on to the lid; creating a smooth even palette for successful color application. Medium oval camouflage brush, (the size of your middle finger) is wider, giving you more control as you blend the concealer from the under eye area downward onto your face. Small fluffy eyeshadow brush fits perfectly under your eyes for a light powdering. Large oval face brush for your foundation will blend and further refine your application. Large fluffy brush or Kabuki brush is used when it’s time to powder the entire face. When you are using your fingers, always ”lift out” product with a spatula so not to spread germs. No double dipping with fingers! What’s Concealing and Camouflaging All About? Concealment by means of disguise designed to deceive or hide. 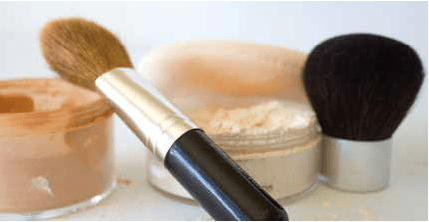 Foundation, concealer, neutralizer, corrector, camouflage makeup – what’s the difference? 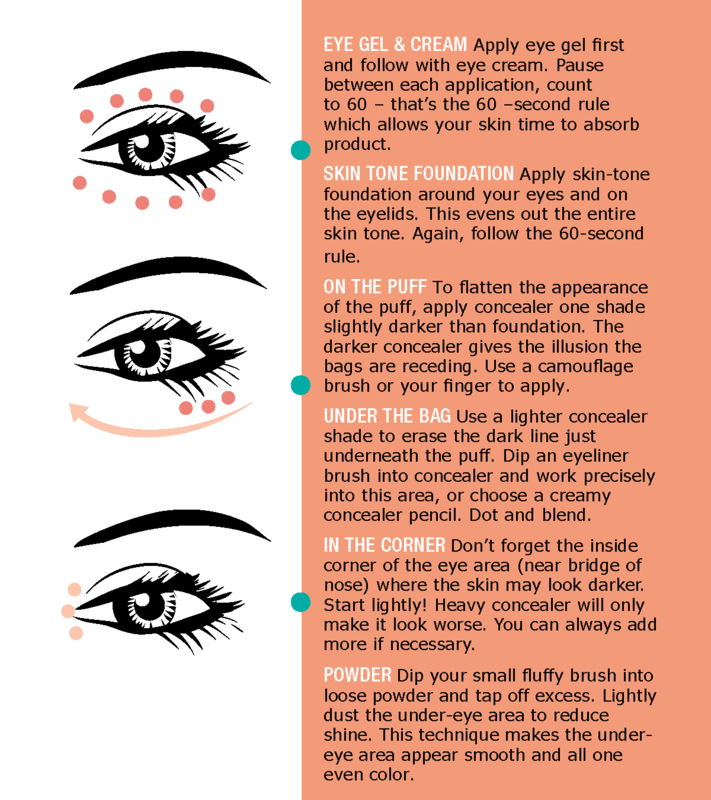 What are concealers actually for? When should I use one? What about those funny colored green, pink, and lilac makeup creams? 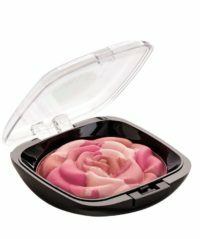 How can I use concealer on under-eye circles without looking like a raccoon – or worse than when I started? 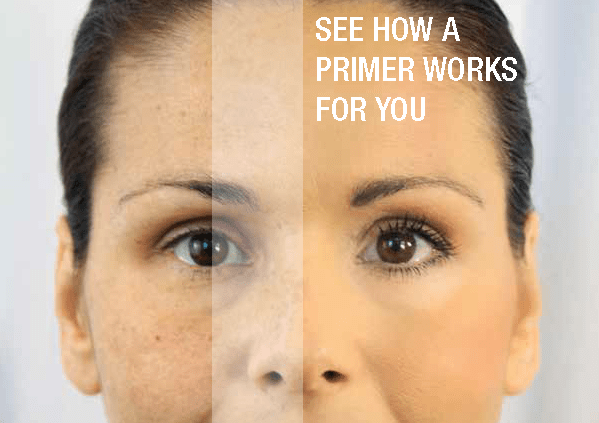 Will concealer cover a scar or a skin condition? 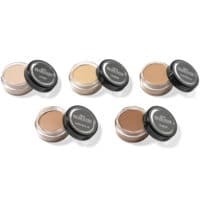 Each kind of makeup including foundation, concealer, neutralizer/corrector, and camouflage has a distinct texture, covering ability and purpose. All of them conceal to a degree depending on what you want to hide or cover. 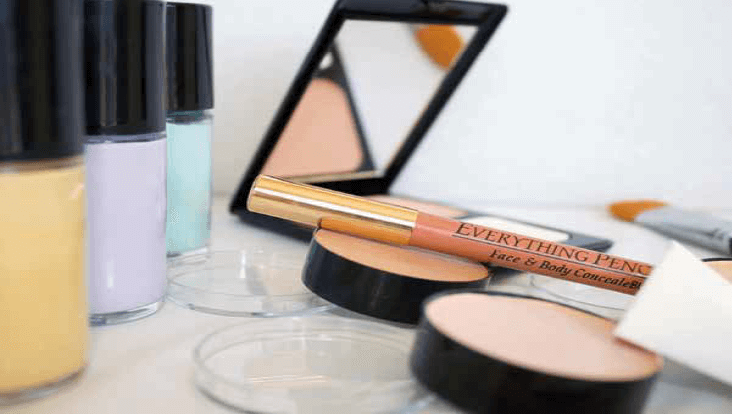 Selecting the right concealer type and shade for your particular “challenge” and learning how to apply correctly really isn’t tricky once you know a little about each of them. I was seventeen and told that my dream of being a model was over. The “bags” under my eyes would never allow for great camera work and there was nothing I could do about it. Even going to the plastic surgeon was no help. Back in the early days of cosmetic surgery, they simply would not operate, I was too young. While some girls would sink into the premature wrinkles of defeat, I took it on as a challenge and started the lifelong study of camouflage cosmetics. Lighting techniques, camera angles and all types of makeup tricks became an obsession. I studied day and night so I could compete in the glamorous world of modeling. Every day, I started concealing something! In the beginning it was my eyes. As I continue to mature I am faced with new challenges, and I realize that there will be more on the way. The problems of my youth became the business of my future. Most of the women I meet on my daily path confess to being puzzled about how and when to use concealing products. 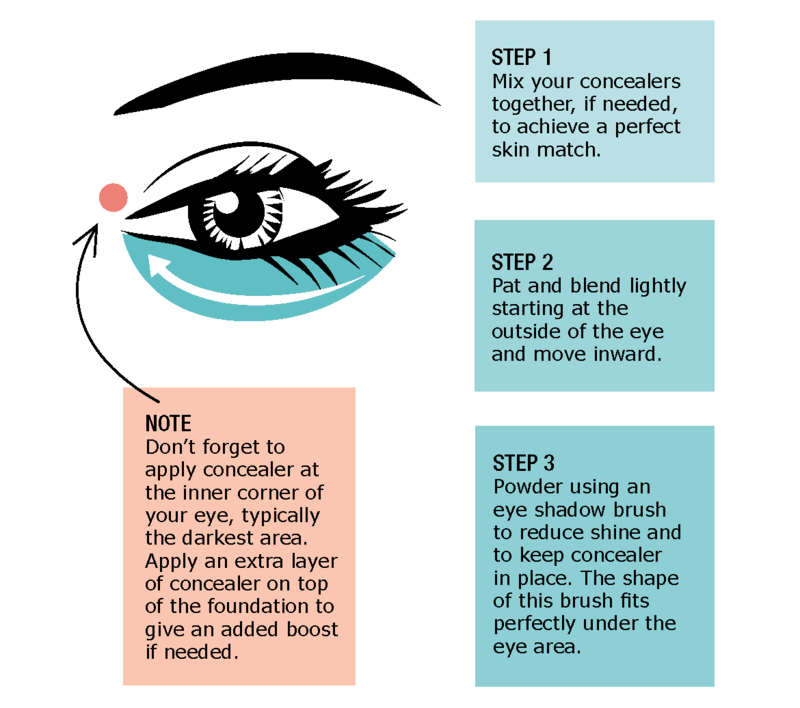 Over my 40 year career, nearly 80% of all questions have been, “How do I cover up under eye problems?” As cosmetic concealers are my specialty, I decided to demystify the process and to focus on this and other challenges that keep staring us straight in the eye every day! I have tucked in tips and tricks from friends in the industry as well as a sprinkling of my favorite modeling shots from years past… they are always fun to see! Please note: I had big puffy bags under my eyes when all these shots were taken… can you see them? 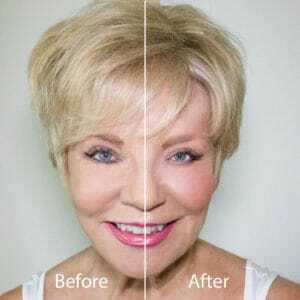 Whether you are in your 20’s and 30’s concerned about under eye circles and blemishes or 40’s, 50’s and beyond carrying under eye baggage and more, please know it’s true, “Everybody’s Got Something to Hide”. The point is, no matter what your age, don’t give up. It’s exciting to know that the modeling techniques I learned and the experience I have acquired will help you to put your best face forward; it’s really a matter of emphasizing the good and minimizing the bad. As you follow the simple steps within these pages, I know you will see amazing results and truly feel good about the face that looks back at you from the mirror. 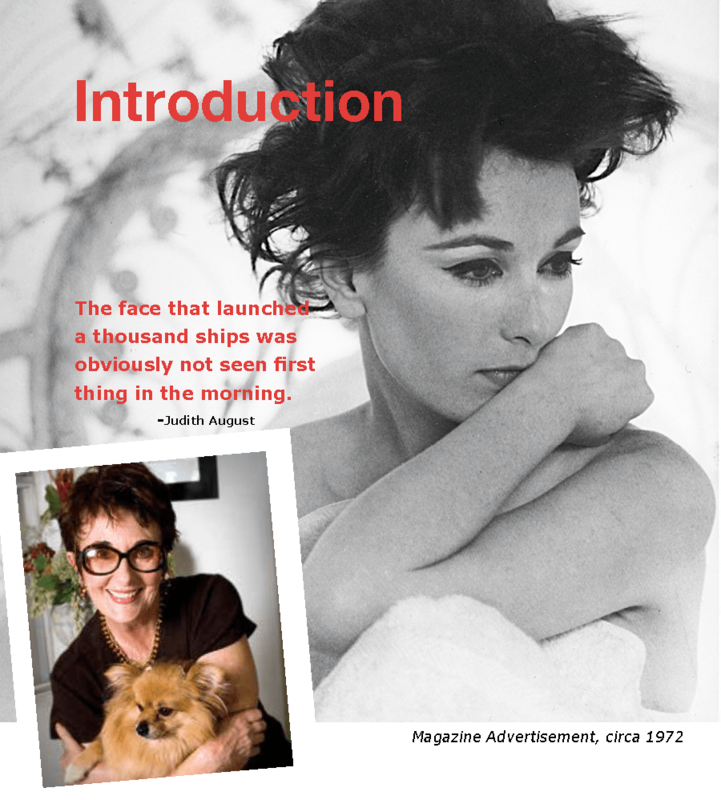 Throughout this book, I often refer to my own specialized line of products; Judith August Cosmetic Solutions™. However, the concealing and camouflage techniques I describe can be accomplished with many other fine brands offered in department stores, salons, spas, doctor’s offices and catalogs. I speak on my product concepts because I designed them for specific purposes and know how well they work and… I designed them for you so you can become your own camouflage expert. It will be our little secret! Want to find out more? 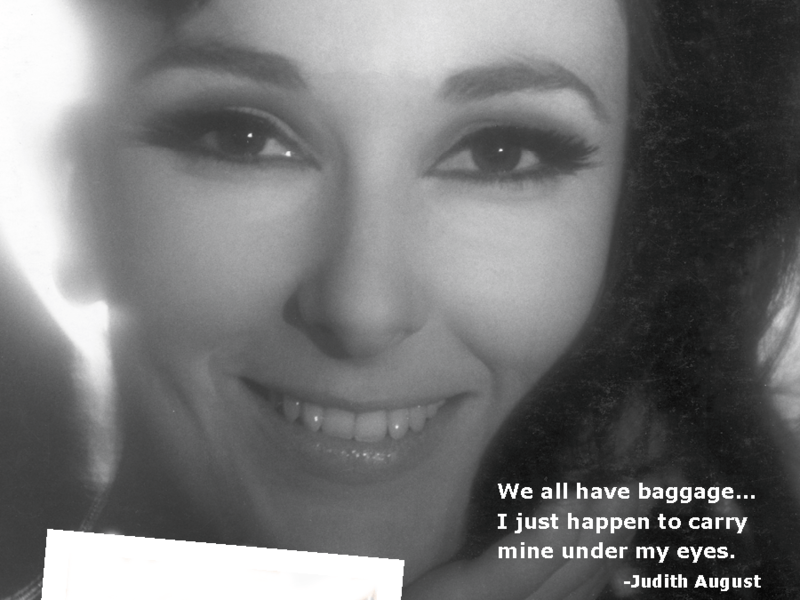 Judith August literally wrote the book. Buy a copy of Gotcha Covered today!